B and I are stuck in a remodeling phase. Besides redecorating our living-room, we are also keen on remodeling our bathroom. Now this would be a little tricky seeing that our bathroom is not actually huge. And as much as I hate to say it out loud, I feel it is a tad too small to do much aside from the basic showering and cleaning. I refuse to let size discourage me however and despite the lack of bathroom space, there are still several things I can do to enhance the ambiance within. * Paint: Painting your bathroom walls with a new color does wonders to lighten the mood of any bathroom. * Wall paper: Decorate the walls of your bathroom with a nice mood-enhancing design. * Candles: Indulge your senses with scented candles, air freshener plug-ins or a basket of potpourri. * Wall decoration: Display one or two bathroom wall art that ties in with the overall color and design theme. * Towels: Colors play an important role here with bright shades lending a cool, refreshing effect. If your budget is bigger, you may want to consider getting new modern bathroom vanities for your modern home remodeling project. I saw the most beautiful ones in an online store. Unfortunately it is based in San Diego so perhaps my US readers looking for San Diego bathroom vanities will find it useful. Speaking of San Diego, I've been there twice but that was many moons ago. I have a friend who's living there now and she's constantly inviting me over to spend summer with her family there. So if B and I ever decide to make San Diego our vacation destination, we'd definitely have a place to stay. I know B would love to recapture his Sea World San Diego moments. As kids, we have visited Sea World but separately of course; him with his family and me with mine. Imagine we were both there in San Diego, California around the same time, but we didn't know then that we'd end up getting married years later. Now that we're married, it would be great to visit San Diego again; this time as a couple! Happy weekend. am i imagining it? i am the FC???? I just woke up dearie.. slept at 2pm just now.. and now got soo much to do..
San Diego was the only major city in California that I didn't get sent to last year through my job. They still might one day though. Wow! love this bath tub, I always dream of having a nice bath tub where I can soak myself with bubble bath surrounded by dim colour light with scented candles burning together with nce soft music. This would be a great therapy! san diego sounds like a great vakasi. i'd love to visit this place someday. Gosh It's in my dreams, too DP! 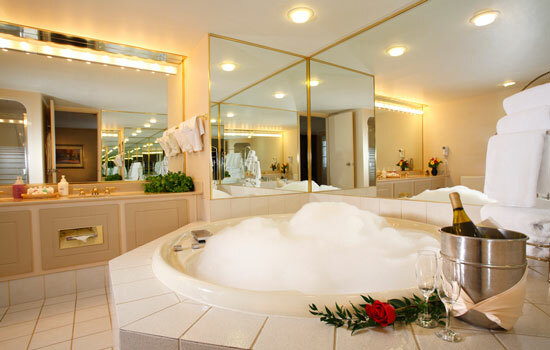 How relaxing life can be to have our body soaked in that luxurious and beautiful tub? I have missed being here, Sweetie. it has been a while. Happy Easter to you and B.
:* :* :* :* :* :* :* Happy Sunday BD, thanks again for the chop! Now I just woke up at 2pm.. lol! Morning LJ, I woke up half-four he he he….tired la…. definitely go there again to visit, you both will enjoy it. When oh when agaknya LJ? I am going grocery shopping tonight dearie, belum makan apa pun! LOL me too me too!!!! Swim swim away whenever there’s a bestub for me to use woo hoo! Thanks Feron, hope to get to San Diego one day! I love Nandos! Extra hot peri-peri por favor! Def no sleep for me tonight LJ! For sure Ayie and I can’t wait for that day! Ur so lucky u can go there anytime u want to Ayie!